Extra-strong quadrant hinges - 24K gold plated and hand polished. 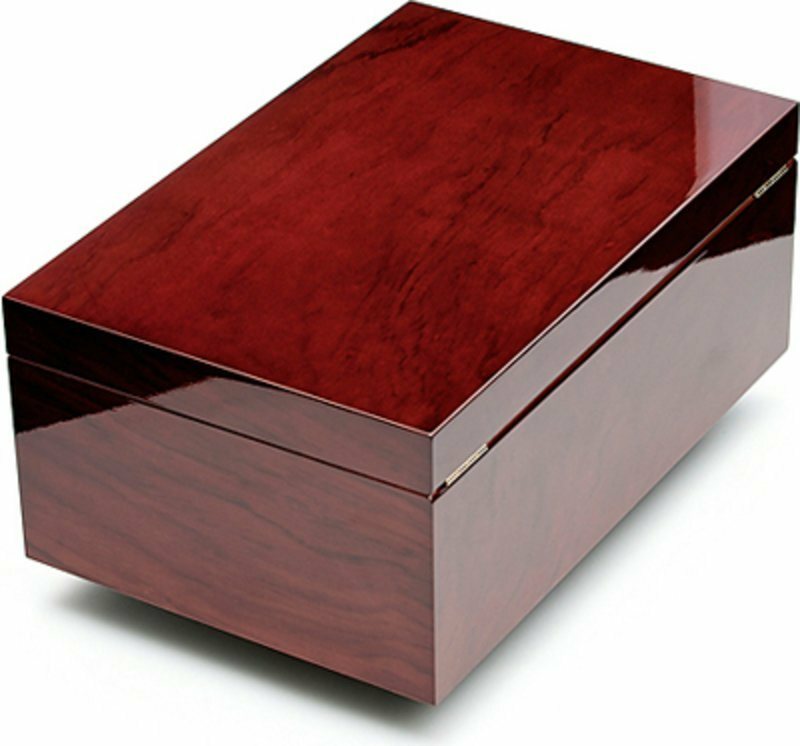 Super elegant humidor, very pretty, airtight, comes with a tray, stores cigars well; needs a few days to stabilize humidity; not very heavy, ideal to start with because there is room to store; the bottom has a felt that protects the support you place the humidor on. Elegant and well-made humidor. (A nice piece of furniture). Excellent product, corresponding to my expectations. Quick delivery. Product arrived in perfect condition. The product arrived in great shape and was very well appreciated by my friend. 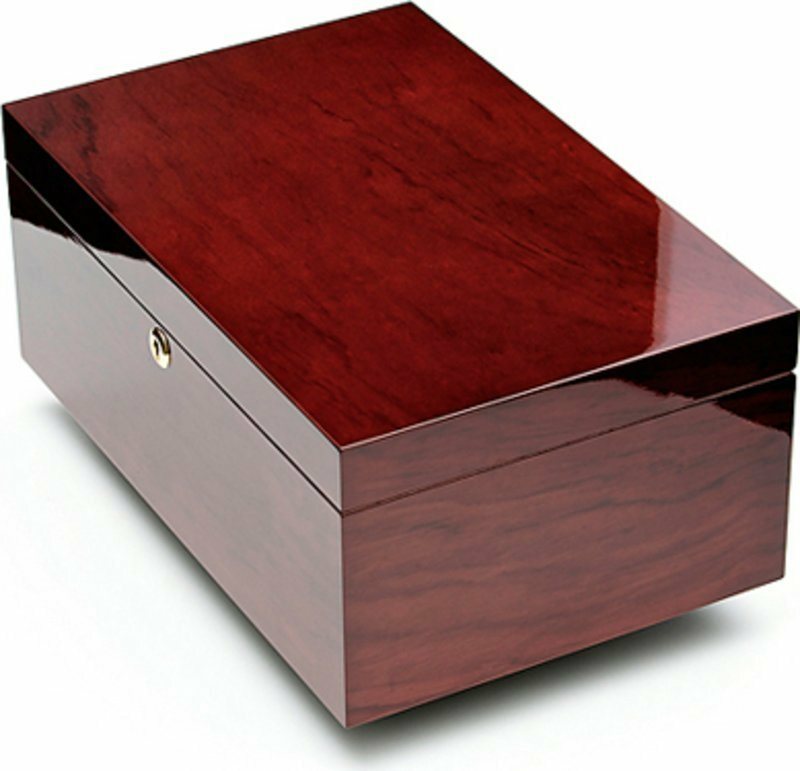 I had purchased the name plate with his name on it, however it was not in the box or on the humidor. Other than that everything went very well. 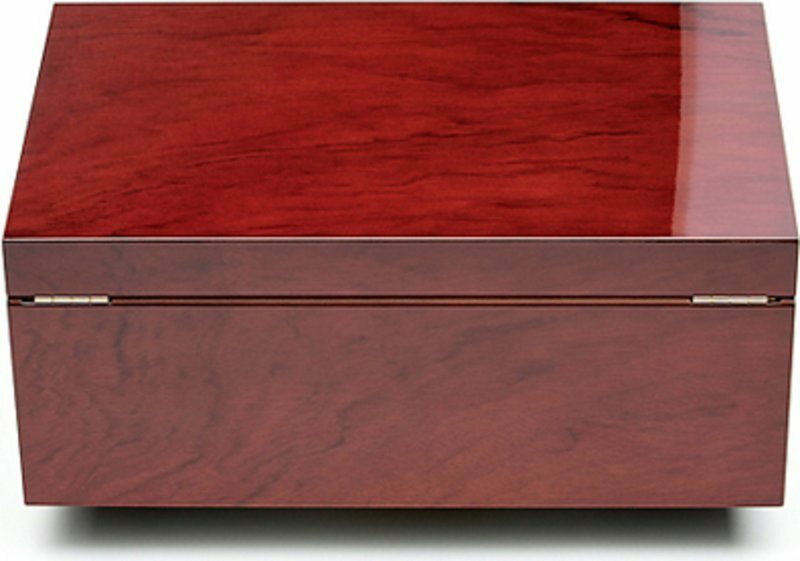 Great, beautiful and quality humidor! This is the best humidor i have purchased. It arrived in perfect condition and is by far the best constructed box ever. I would certainly recommend Adorini to anyone who wants quality merchandise. The turn-around after ordering was as if they were sitting there waiting for my order. Keep up the good work. The box itself is very pretty, simple and sturdy. 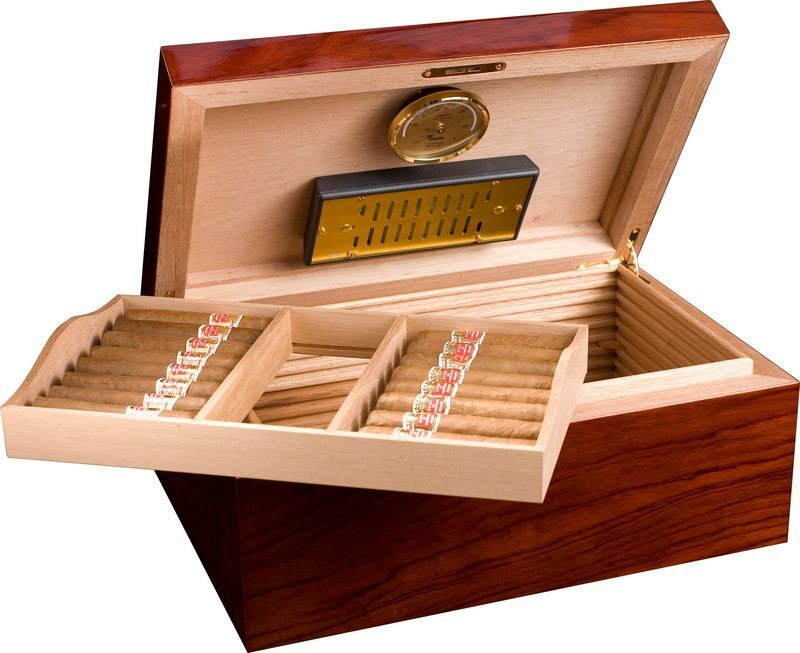 The only issue I had was with the hygrometer that came with the humidor and the cigar heaven, their numbers didn't add up even after calibration. Received item on time and in perfect condition. Product according to the description. Very good quality and nice finish. Only downside: the magnet system for the humidifier and hygrometer are only moderately convincing. Packaging and perfect delivery: the outer cardboard arrived defective, but as internal protections were consistent everything was perfect on the inside. Better than in picture. Very well built and finished. Delivery is really fast. Gorgeous product, perfect delivery in the shortest time, great seller. Congratulations and thank you! Beautiful manufacturing and finish. No complaint, very good maintenance of hygrometer and humidifier, unlike what has been mentioned by others. Well protected, but small defect on the lid (a shame but luckily not too visible). Beautifully made and so easy to set up. Pleased I purchased this size instead of a smaller one. Perfect size for my small mixed collection. I can thoroughly recommend this product. 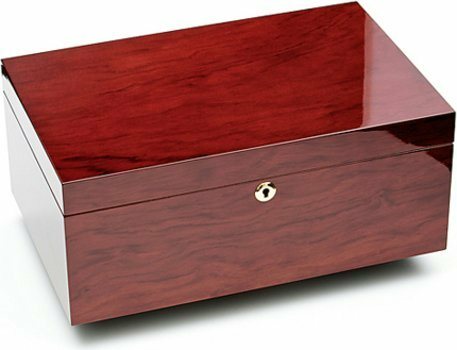 Terrific humidor! Excellent service! I will be back again..